The complete first trilogy. 3 books: Rath's Deception - On the cutthroat streets of Tarkis, orphaned teens like Rath end up jailed… or dead. 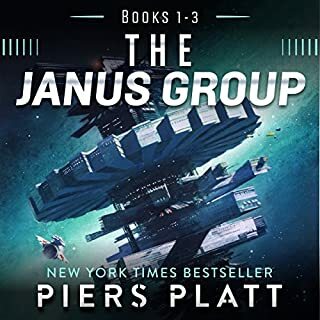 So when the shadowy Janus Group offers Rath a chance to earn riches beyond his wildest dreams, he seizes it. Rath's Gambit - Rath just assassinated a senator, and completed his final mission for the Janus Group. Now every Interstellar Police officer on Alberon is searching for him. Rath's Reckoning - Rath and Paisen completed all 50 kills in their contracts with the Janus Group. An explorer tug captain, Alex Racine detects a damaged alien craft drifting into the system. Recognizing a once-in-a-lifetime opportunity to make first contact, Alex pulls off a daring maneuver to latch on to the derelict. Alex discovers the ship was attacked by an unknown craft, the first of its kind ever encountered. 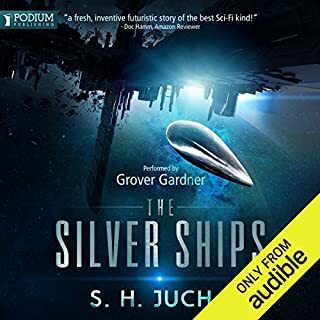 The mysterious silver ship's attack was both instant and deadly. Sirio Falken has been a fighter his whole life. But when the government bans professional fighting, his life spirals out of control. Convicted of murder, he's sentenced to life in prison. But all of the felons he's ever known have disappeared from Earth, never to return. He's about to find out firsthand what happened to them. He'll have to stay alive among Earth's most ruthless felons if he wants to survive...and become the first man to escape from Oz. Escaping wrongful imprisonment wasn't something Connor had in mind, but being put into stasis aboard Earth's first interstellar colony ship was something he couldn't have prepared for. 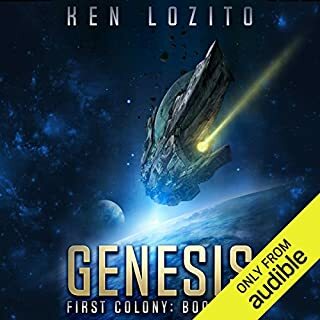 For 300,000 colonists, the new colony brings the promise of a fresh start...a second chance. Connor might be the wrong man for the colony, but he's the right man to see that it survives what's coming. They hunt us. They bomb our worlds for target practice. A star cluster in the constellation of Orion rotates once every 1,000 years. Those who rule there have an ancient tradition: When each cycle ends, they train their fleets by spilling the blood of lesser beings. The enemy fleets are coming again. In response, the Rebel Worlds gather their starships to face the terrifying threat, and this time humanity is asked to stand with them. The last time they considered Earth, Vikings in longboats were raiding English coastlines. Today, we're less primitive. Today, we're a target. Tom Dreyfus is a Prefect, a law enforcement officer with the Panoply. His beat is the multifaceted utopian society of the Glitter Band, that vast swirl of space habitats orbiting the planet Yellowstone, the teeming hub of a human interstellar empire spanning many worlds. His current case: investigating a murderous attack against one of the habitats that left 900 people dead, a crime that appalls even a hardened cop like Dreyfus. Bob Johansson has just sold his software company and is looking forward to a life of leisure. There are places to go, books to read, and movies to watch. So it's a little unfair when he gets himself killed crossing the street. Bob wakes up a century later to find that corpsicles have been declared to be without rights, and he is now the property of the state. He has been uploaded into computer hardware and is slated to be the controlling AI in an interstellar probe looking for habitable planets. Ignore the Publisher's Summary! This is Amazing! The Hundred Worlds have withstood invasion by the relentless Hok for decades. The human worlds are strong, but the Hok have the resources of a thousand planets behind them, and their fleets attack in endless waves. The long war has transformed the Hundred Worlds into heavily fortified star systems. Their economies are geared for military output, and they raise specialized soldiers to save our species. Assault Captain Derek Straker is one such man among many. Chief Katherine “Kit” Carson, of the elite Pathfinder Corps, joins the mission as a last-minute replacement, hoping to put a spotty past behind her and build a new life on a brave new world. The expedition arrives on Terra Nova, expecting to join the first wave of colonists, instead they find abandoned cities and are soon faced with a new, terrifying enemy humanity has never encountered before. This publisher pack includes Terra Nova and Bloodlines. Meet the galaxy's unluckiest outlaws. Carl Ramsey is an ex-Earth Navy fighter pilot turned con man. His ship, the Mobius, is home to a ragtag crew of misfits and refugees looking to score a big payday but more often just scratching to pay for fuel. The crew consists of his ex-wife (and pilot), a drunkard, four-handed mechanic, a xeno-predator with the disposition of a 120kg housecat, and the galaxy's most-wanted wizard. Firefly cranked up on Meth plus a Space Wizard! The ex-planet Pluto has a few choice words about being thrown out of the solar system. A listing of alternate histories tells you all the various ways Hitler has died. A lawyer sues an interplanetary union for dangerous working conditions. And four artificial intelligences explain, in increasingly worrying detail, how they plan not to destroy humanity. Welcome to Miniatures: The Very Short Fiction of John Scalzi. Earth is no longer the center of the universe. After the invention of the faster-than-light jump drive, humanity is rapidly establishing new colonies. But the vast distances of space mean that the old order of protection and interstellar law offered by Earth has ceased to exist. When a nearby world attacks, the new colony of Glenlyon turns to Robert Geary, a young former junior fleet officer, and Mele Darcy, a onetime enlisted marine. The Ember War, book 1: The Earth is doomed. Humanity has a chance. In the near future, an alien probe arrives on Earth with a pivotal mission: to determine if humanity has what it takes to survive the impending invasion by a merciless armada. The probe discovers Marc Ibarra, a young inventor who holds the key to a daring gambit that could save a fraction of Earth's population. Humanity's only chance lies with Ibarra's ability to keep a terrible secret and engineer the planet down the narrow path to survival. Our universe is ruled by physics, and faster-than-light travel is not possible - until the discovery of The Flow, an extradimensional field we can access at certain points in space-time that transports us to other worlds, around other stars. Humanity flows away from Earth, into space, and in time forgets our home world and creates a new empire, the Interdependency, whose ethos requires that no one human outpost can survive without the others. It's a hedge against interstellar war - and a system of control for the rulers of the empire. Just feels small - no sense of scale, so why care? Rath's short-lived rebellion has gone horribly wrong. The Senate lies shattered, devastated by a surprise attack. The Federacy sits at the mercy of General Yo-Tsai, a brutal dictator who now controls a super-weapon. Above the planet Tarkis, Rath drifts helplessly in orbit, watching as the Jokuan invasion fleet descends on his homeworld. His girlfriend has been captured, he's running out of air, and he's just a single man against an entire army. But he's also the galaxy's most dangerous assassin...and he's very, very pissed. Another must-read if you are a Rath fan. Would you listen to Rath's Redemption again? Why? Yes. Typically, I don't listen a book twice but if I did, this one would be at the top of the list. Rath. it is hard to pick a favorite character out of this book because there is so much going on and the author really develops the other characters, like Boziron, Pason, Dessi, etc. What does James Fouhey bring to the story that you wouldn’t experience if you just read the book? Personality to the characters. 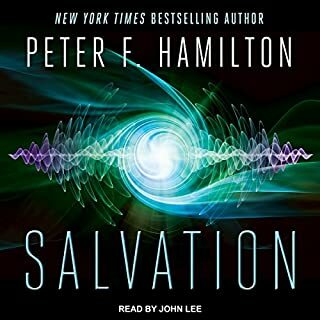 The narrator does an excellent job of using his voice to define the unique personality of each character. Yes. This is an extremely exciting book that keeps you wanting more. This is the best of the series. It is action-filled for 7 1/2 hours. I listened to this book in one sitting, that's how good it is. Surprises, twists and turns, it's like being on a roller-coater. 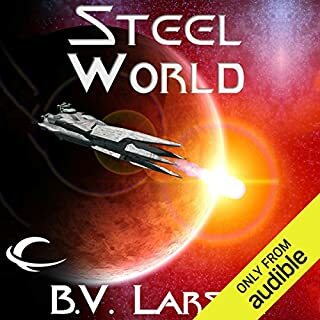 If you have read the other Rath books, which you really, you will not be disappointed with this one and you will probably agree that it is the best out of the series. I am still not sure why the author decided to so frequently use a certain swearword as though it is going to be commonly used in 400 years. I found it distracting from another wise excellent story. The other distraction was the lack of advancement in technology and certain basic gaps in the science, such as instantaneous radio communication across distances that took quite some time for "faster than light" voyages to cover. I gave the story and performance five stars each but these are the reasons for a three star overall rating. I liked the characters. The world crashed by the author seemed plausible to me Ann's was very interesting. I liked every book in the series. Very excellent end to a trilogy, exactly what you hope for. I hope he does another 3. 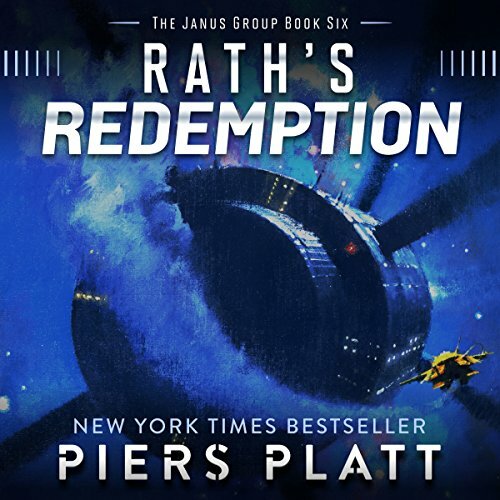 Rath's Redemption is the final installment in Piers Platt's 2nd Rath trilogy. When we last saw Rath, he was drifting in space in a suit without oxygen after General Yo-Tsai had doubled crossed (and killed) Anders Rickers. At the same time, Dazi is closing in on the Neopuritans and Rath's homeworld, Tarkis is the Jokuan;s first invasion target. 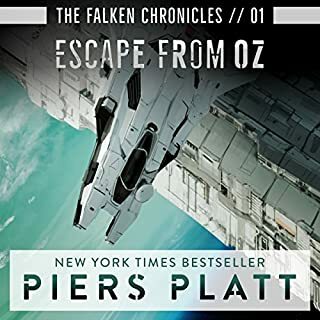 Fueled by anger, Rath must channel his inner contractor to save his life, his girlfriend, his planet, and the Federacy so that he can return to Scapa to be sentenced for murder. He's seen worse. The sci-fi elements are in line with earlier installments with a cute addition by Pasien to overcome a ship in the wrong place. The stupidity of Rickers' plan to actually place weapons of mass destruction over every world even though he was bluffing, backfires. The Jokuans are basically barroom brawlers and Pasien's contractors finally get taken off their leash. Dazi and Bouceron make a great team, although Bouceron and his girlfriend are destined to partner up permanently. Senator Fos and Rowan finally get some cosmic justice, but not before nearly screwing the pooch for the whole federacy. This is light-hearted fare without much complexity or subtlety. The narration is more than respectable for an adequate range of voices, good pacing, and a tone ideally set for the sophistication of the plot. This is a fast, easy listen that does not require close attention. Just when you think you have everything figured out, book 6 takes you on a roller coaster ride of twists and turns. I am happy to report book 6 ends with a strong resolution and gets us there in such a great way!